Both the Pro and Factory version of the Intense M16C are carefully spec’d with components that give them the appearance of a fully custom build (click to enlarge). The new Intense M16 is long and slack enough to win on Sunday, but still fun enough to ride the rest of the week. With only minor adjustments to suspension, the frame was equally at home plowing the steeps as it was hucked sideways. We consider that a major victory. Learn more in our full review below. Originally launched as an alloy only model, the M16C is constructed from an EPS molded high modulus carbon frame. 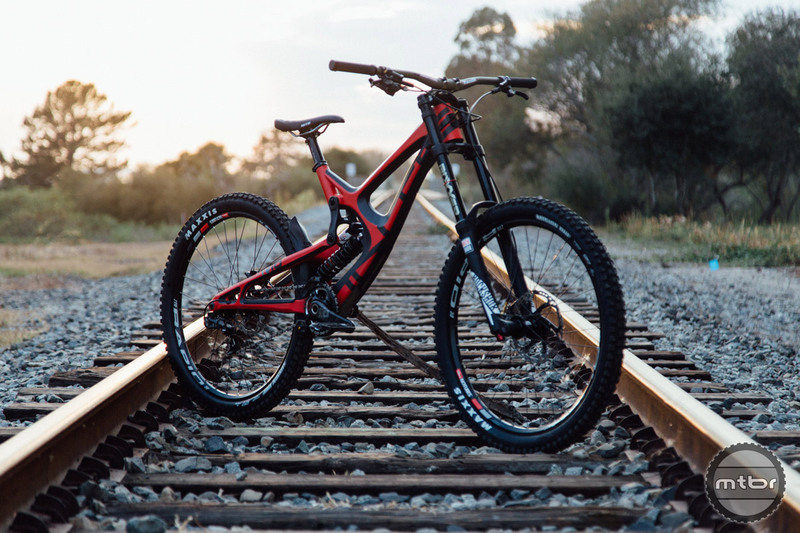 It sports 8.5” of rear travel and the geometry was developed with input from former and current World Cup racers, including Shaun Palmer, Chris Kovarik, Luca Cometti, Claire Buchar, and current Intense Factory Race team members Bernat Guardia and Jack Moir. 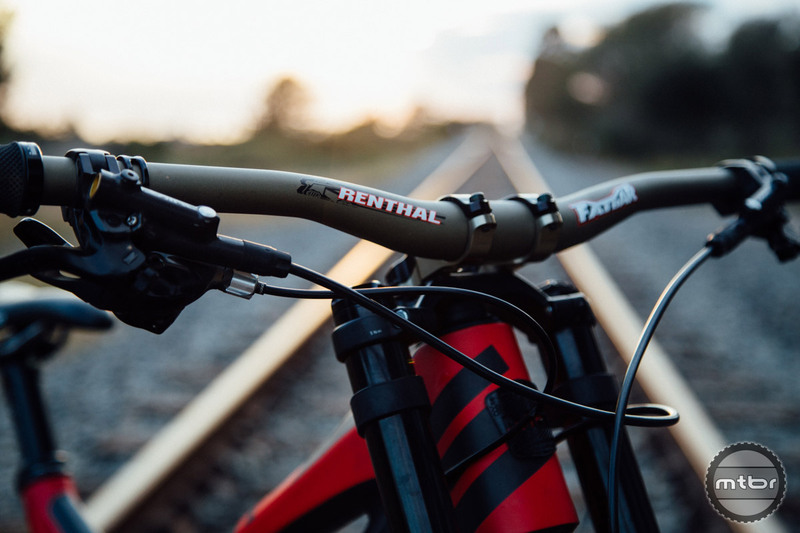 We normally prefer a taller rise on our DH bikes to help us get over the back, but these 20mm rise Rentals still felt well balanced (click to enlarge). Complete versions of the M16C will be available in two different trims, the Pro Version (reviewed here) that retails for $8,499, and the eye waveringly expensive Factory Build. A frame only version is also available w/shock for $3,699.